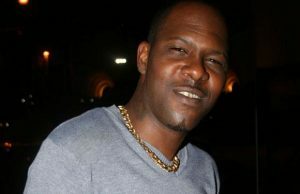 The Manager of Trinidadian soca artiste on Wednesday testified in court as the trial against a man who allegedly assaulted and injured the singer. Seon Isaacs, Disc Jockey (DJ) and Manager of Rodney “Benjai” Le Blanc recollected the entire assault to the court, noting that on the morning of the incident himself and Le Blanc had just finished performing at Palm Court for a show and leaving the venue. Issacs testified that on April 16, 2017 at around 2:30 AM, the accused and another had just entered their car, PLL 2456, and reversed into those standing behind, it was then that they started to tap the vehicle when the accused came out brandishing a gun towards them while another dealt Le Blanc a stab to the face. He then rushed his client to the hospital where immediate correction surgery was ordered for LeBlanc’s face. Under cross examination, Issacs told the court that his testimony came just 11 months after the initial incident occurred and that at the time of the incident he did not make an effort to protect his client at the said time. Reports into the matter states that 27-year old Maverick De Abreu, during an argument moments after the soca artiste, wrapped up his concert in Guyana on April 16,2017 hit him with a glass bottle causing actual bodily harm. An inebriated Benjai reportedly started to hit the back of the car with a Ciroc bottle he had in his hand. The driver allegedly came out of his car and Benjai reportedly advanced towards him. However, after seeing the commotion outside, De Abreu allegedly rushed out of the vehicle and dealt one blow to Benjai’s face with a bottle, resulting in a gaping wound that required 15 stitches.